City Councilors voted 5-1 to execute new plans for a sidewalk, requiring controversial boulders to move aside. HALLOWELL — A controversial downtown sidewalk extension will be built after all following a definitive City Council action Monday. Councilors voted 5-1 — with Councilor Kara Walker dissenting and Councilor George Lapointe absent — to force through a four-foot sidewalk from the Lucky Garden restaurant to the north entrance of the boat landing. The city has already gained a construction easement for the sliver of land being used for the sidewalk. Preliminary cost estimates from last month priced the sidewalk at $35,500, but that may not be the full cost. City Manager Nate Rudy said the cost of remobilizing crews was not factored into the $35,500 figure to build the sidewalk. He said the fees were discussed in a conversation with Project Resident Karen Libby but not finalized. 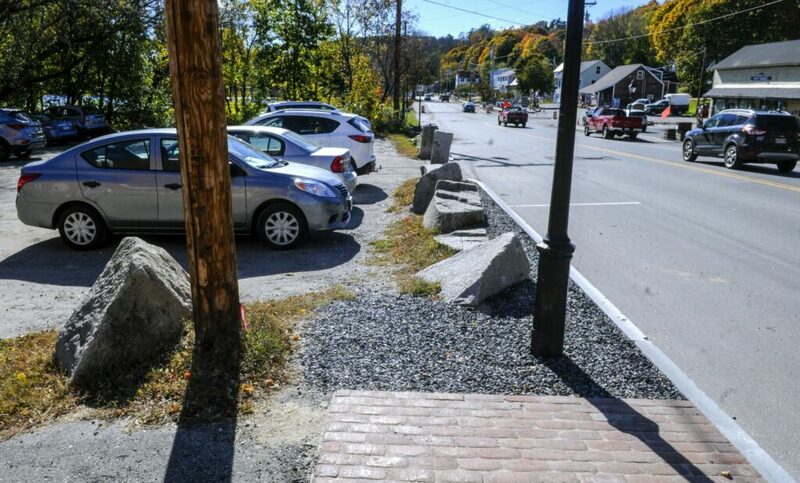 Last month, the City Council voted to approve $35,500 in unused bond funding for a four-foot wide sidewalk if it could be built without moving decorative boulders between Water Street and the restaurant’s parking lot. Later that week, transportation department officials found there was no room for the sidewalk without moving the boulders back a couple of feet, which Lucky Garden owner Annie Huang said protected their parking lot and were important to the Chinese concept of feng shui. In December 2018, councilors asked City Manager Nate Rudy to look into finishing a stretch of sidewalk, which was halted during Water Street’s reconstruction at the request of the owners of the Lucky Garden to keep the boulders. Councilor Diano Circo said it was important to serve public interest with the sidewalk, likening it to a fire hydrant near his home that prohibits him from parking in front of his house. 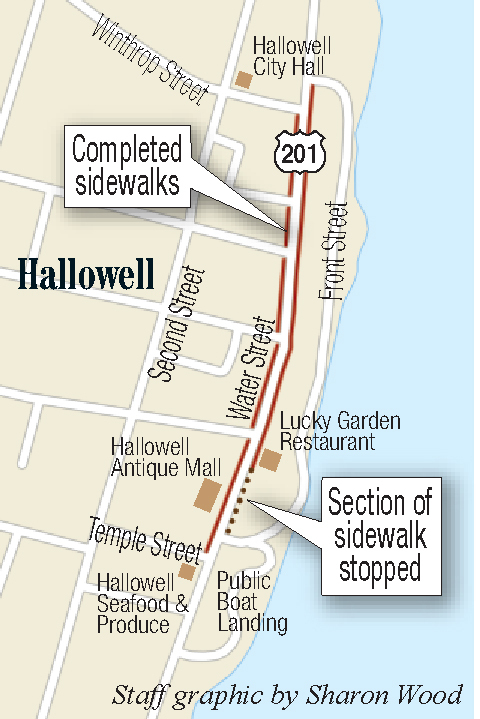 He said the sidewalk would make the entirety of downtown Hallowell easily accessible. Walker, explaining her dissenting vote, said she heard from both sides of the issue and wanted to be sensitive to the Huang’s culture as Hallowell should be “a welcoming community for everyone’s beliefs.” Further, she said access to the boat landing, which is state-owned, was available by the sidewalk on the west side of Water Street. Councilor Kate Dufour referenced previous comments from former City Councilor Alan Stearns, saying the sidewalk was part of the original plans for the Water Street reconstruction project. Stearns told the Kennebec Journal in October 2018 that councilor’s resolved to allocate up to $483,762 toward a number of tasks, including sidewalk extensions.